When making tillage decisions at the end of the harvest season, producers should consider different factors, including soil condition and management. Come late harvest season, producers need to ask themselves whether or not it’s a good idea to till before the end of the fall. In most cases, experts at the Iowa State Extension and Outreach say that this should be avoided. That being said, producers should always take their specific situation into consideration before making a final decision. In some instances, tillage may provide economic and environmental benefits. 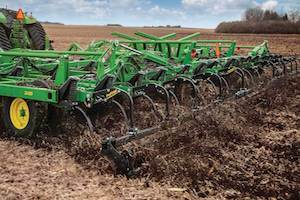 There are two main considerations to consider before making tillage decisions, according to experts from the Iowa State Extension and Outreach. The first is soil condition – how much natural drainage is there? What is the topsoil depth, soil slope, and soil texture? All of these factors play a role in soil health, productivity, and water quality. The second factor to take into consideration before making a final tillage decision is management. This includes residue management, crop rotation, equipment availability, and efficiency. It is also not limited to drainage tiles for managing excess soil water, soil test and fertilizer management, and insect and disease control. All of these factors are essential in determining the success of crop production. In the end, producers may decide not to till, and there are benefits in making this choice. Conservation tillage systems, such as no-till, can positively impact soil health, productivity, and profitability under extreme weather events. Soil can also be protected long-term by avoiding tillage.